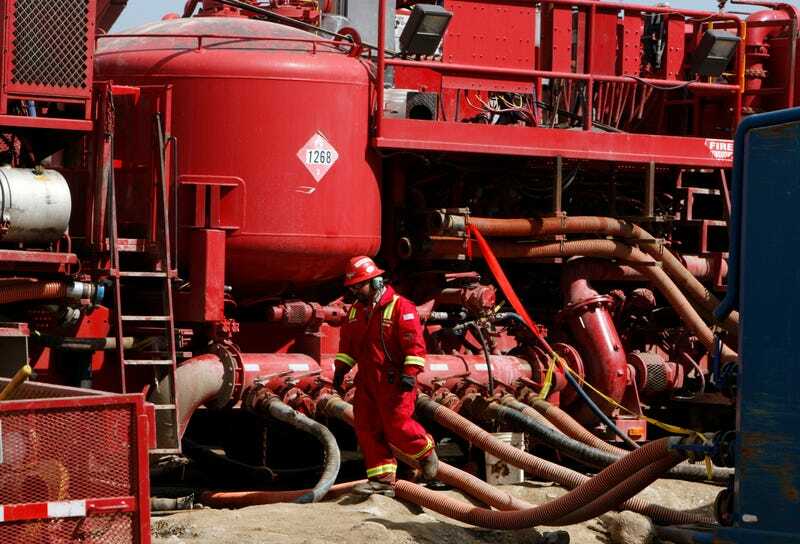 Canada set a new world record for the largest earthquake ever triggered by fracking. Fantastic. Progress Energy put a hold on their hydraulic fracturing, or fracking, operations in northern British Columbia after a magnitude 4.6 earthquake struck near their work site in August 2015. Recently a thorough investigation by the province’s energy commission confirmed the original suspicion. This is the new record-holder for the largest fracking-triggered earthquake. If earthquakes hit nearby before or after hydraulic fracturing operations, or only during fracking. Where the earthquake’s epicenter was located with respect to the well where fracking was taking place. If the earthquake happened before, during, or after fluid had been injected into the well. It took three months to collect and analyze data from the seismometer network and all active oil and gas operations within 10 kilometers of the epicenter. The region had been silent of earthquakes except during fracking operations, and struck after fluid had been injected (thus presumably lubricated the fault). The epicenter was less than a kilometer away from the injection well, and people nearby reported that shaking was strongest nearest the well. From all of this, the commission concluded this earthquake was caused by the fracking operations. Fracking is a natural gas extraction method that injects fluids underground to crack (or fracture) rock and release the gas. It has been linked to earthquakes in Oklahoma, British Columbia, the United Kingdom, and elsewhere. Other less high-profile forms of subterranean fluid injection not related to fracking operations are also suspected of triggering earthquakes. A magnitude 4.6 earthquake produces distinctive shaking, but is moderate and unlikely to cause damage. Canada also held the previous fracking earthquake world record, a magnitude 4.4 in Alberta. Other larger earthquakes have been tentatively linked to fracking, but without official confirmation.